Dinner, Lighted Tractors, Santa Oh My! 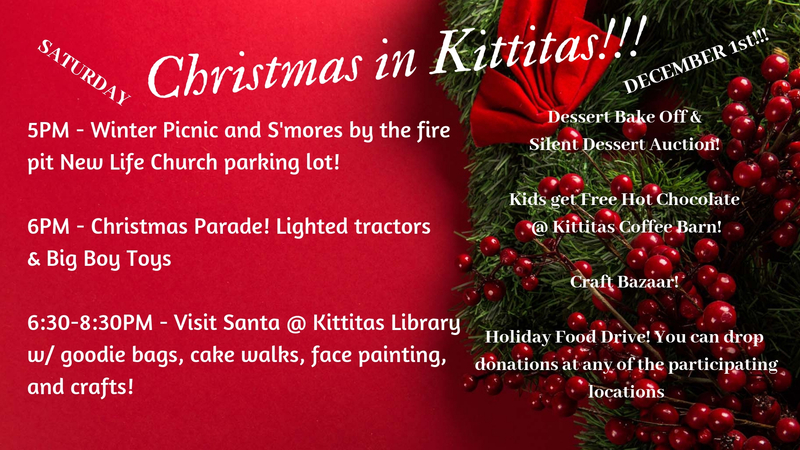 Every year the City of Kittitas puts on a FREE family event for the Christmas season. There will be dinner served in the parking lot of New Life Church, Santa pictures at Kittitas Library, and the Lighted Tractor Parade. During this event, each venue will have a place to donate to the Kittitas Food Bank! Help us serve our Kittitas Community!